This eclectic palace was built by the Hungarian Freemasons in the 19th century. 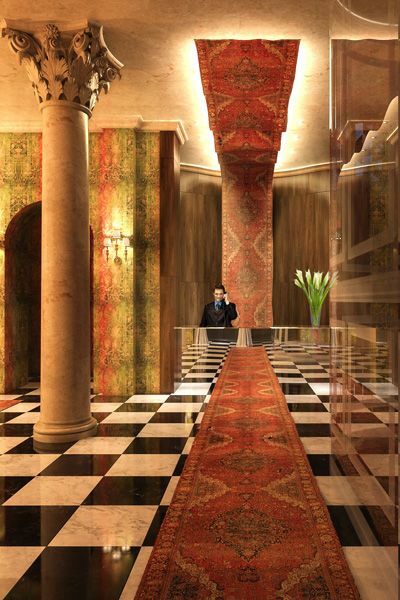 As the life of the Freemasons was full of mystery and mystique, so is our hotel; shrouded with legends and secrets. The concierge at the front of the Grand Hall Restaurant & Lounge has a small library from where our guests may borrow fiction books and/or movies related to Harry Potter and/or Da Vinci Code. However, the theme was not only inspired by the life and work of Freemasons, but also by other fictional literary works, such as the Harry Potter series or the Da Vinci Code novel. Zoltán Varró interior designer fine-tuned the atmosphere with optical illusions. 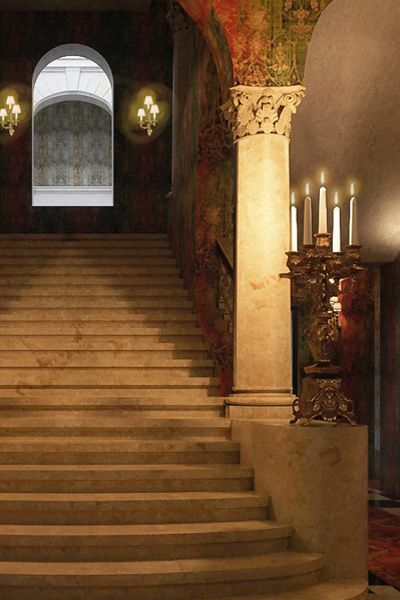 The grand staircase of the building being lit by old-fashioned candles, Aladdin’s flying carpet above the front desk. 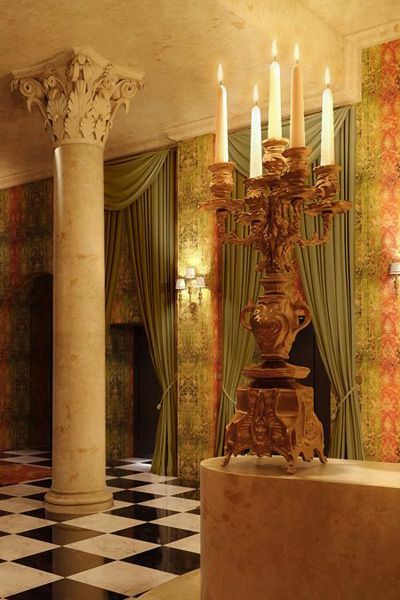 Sometimes we feel we are in an ancient mansion and sometimes in a luxurious palace. 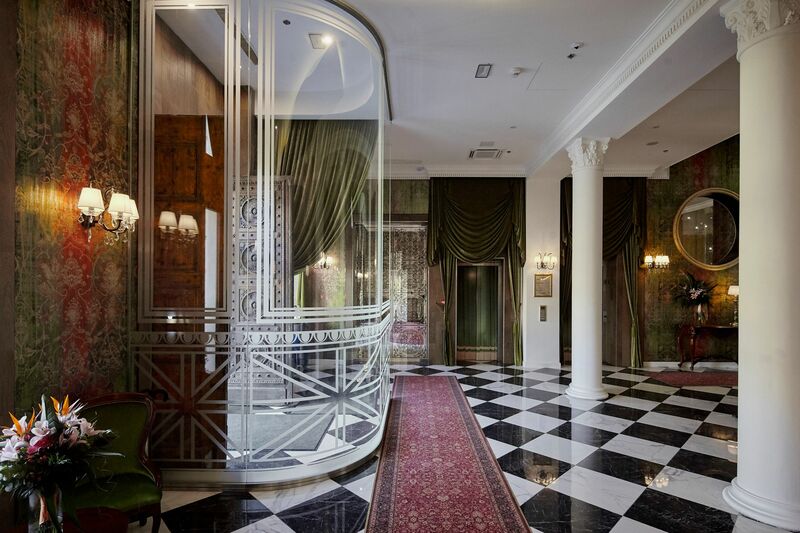 The elevator is covered with large, heavy velvet curtains, which open magically. One of our separate rooms can only be accessed by a secret door opener. Walking under the arches, the blinking candle carries the secrets of the past centuries. Each of the guestrooms, studios and suites are designed in three different styles aligned with a Greek column style: Corinth, Ion and Doric. 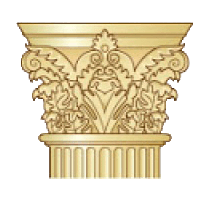 The three antique columns play an important role, as we also find them throughout other areas of the hotel, such as in The Great Hall Restaurant, the Secret Garden Day Spa and The Sky Garden. Doric Rooms are located on the hotel's inner courtyard, overlooking the enchanting Secret Garden and also on 7th floor, where the rooms next to the Sky Garden offer stunning views of the city. 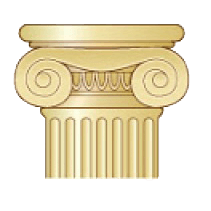 The Doric column order has the most difficult, yet simplest forms and proportions. In our Doric rooms, the English Victorian style dominates. The shades of green provide a pleasant atmosphere, which is made more comfortable by the natural materials and textiles used in the rooms. Looking out of the windows of the rooms, the Secret Garden has a breath-taking view of the hundreds of orchids, while from rooms on the 7th floor you can see at a distance the Castle of Buda, the Fishermen's Bastion and Gellért Hill. The Ion Rooms are located on the top floors of the hotel. 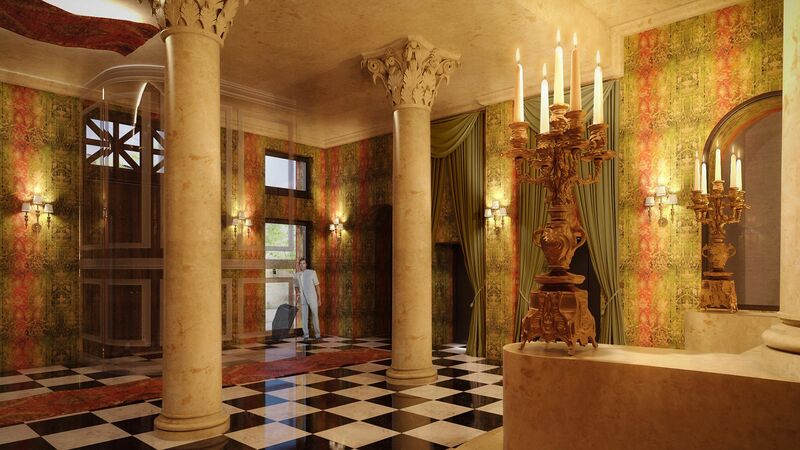 The Ion column layout is lighter and more elegant, so the rooms reflect a French mansard style. The cheerful, but elegant interior with patio makes it really special. Its shades of grey charmingly complement the flowery motifs. 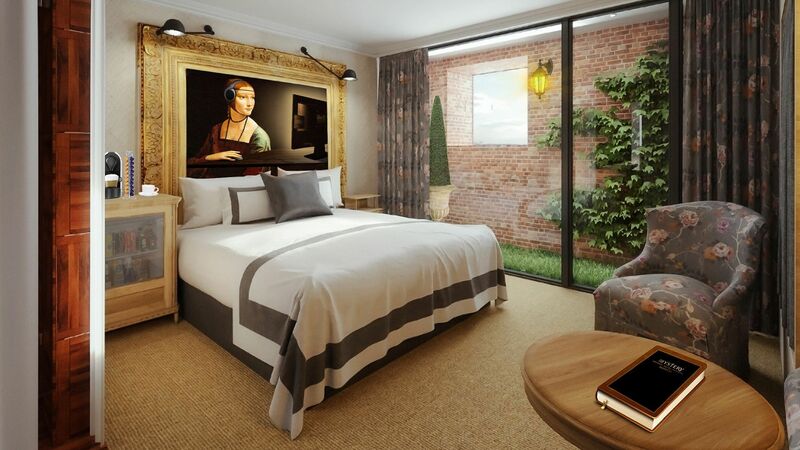 The giant paintings placed behind the head bed connects the past and the present. Our two-storey Duplex rooms on the ground floor belong to the Ion column order. The design here is French as well, but it is slightly different from other Ion rooms. The Corinthian column is the most decorated antique Greek column, so in this room type classical burgundy velvet curtains are featured. 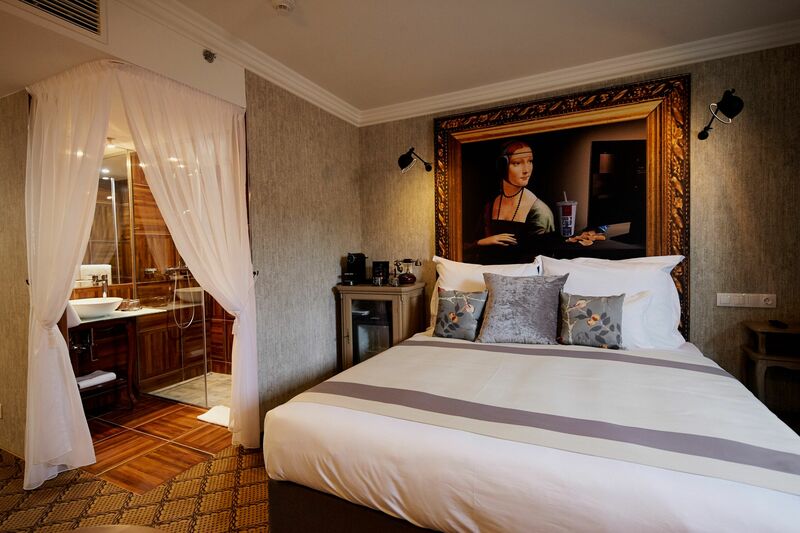 The room's furniture is sumptuous and styled in baroque, so the guests can feel themselves, like a real aristocrat enjoying the soft textiles and the thousands of crystals. All Corinthian rooms and suites have city views.